That means it is time to think about spring cleaning. While spring cleaning seems like such an easy task, it can be quite daunting. You have that stack of magazines piling up that you never read, or a closet full of old clothes that don’t fit. We hang onto far more objects than we need, based on HOPE, and instead of them motivating us, they turn into feelings of guilt and shame. You HOPE that you will find time to read or you HOPE you will lose that extra 20 lbs. But what happens when you don’t find the time to read or lose the weight? You feel guilt and shame and then you are stuck in a vicious cycle. Hanging on to things can be easier but far more detrimental than releasing them. No one said growth was easy! 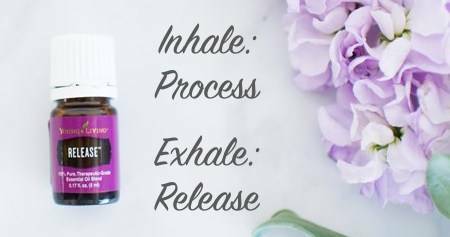 Using Release oil will help you let go of negative emotions so you can progress in a more effective and efficient way. Inhale this oil daily as you take a few deep breaths and visualize eliminating one object at a time until the whole pile is gone. Spring Cleaning In Your Home! Another HUGE but SIMPLE way to get rid of the bad and bring in the good is to invest in the Thieves Line. I have a special class planned just for you that will help you do JUST that. 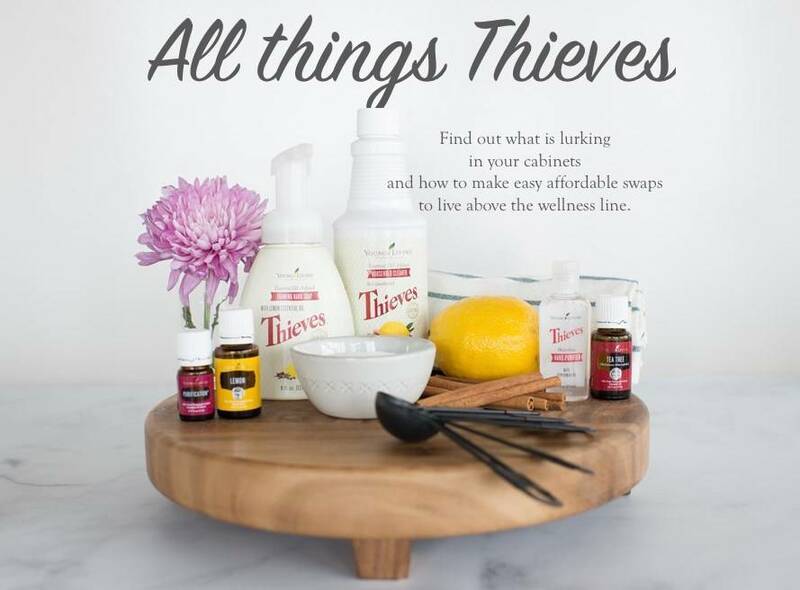 I will cover a few scary ingredients that are hiding in your cabinets that cause health problems like cancer, difficulty sleeping, or losing weight. I will show you how to make SIMPLE swaps in your home and provide EASY DIY recipes that will blow your mind when you put them to the test. This class will be on my Facebook page on April 16th! With spring also come some really fun and exciting festivities. Mother's DAY!I know it is over a month away BUT it is time to start planning ahead to get ready for Mother’s Day, which is May 13th this year. I have an exciting class prepared for you about “Gift Giving For Her.” It highlights unique ideas to create special gifts that will make any woman in your life feel loved and appreciated. Celebrate Mother’s Day early and get yourself or a friend a Savvy Minerals Makeup Kit. 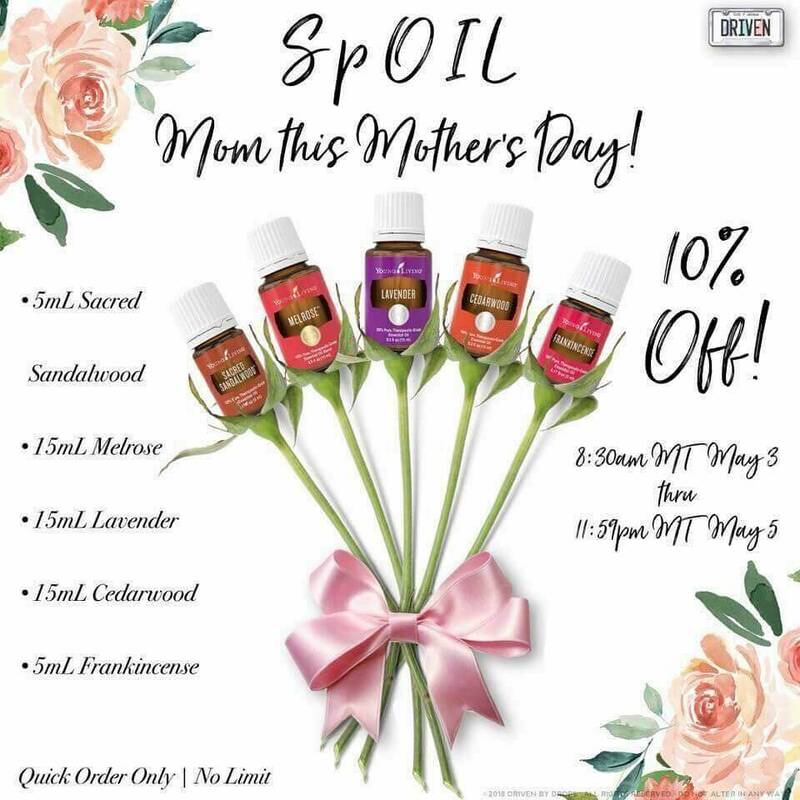 It is a perfect Mother’s Day gift. 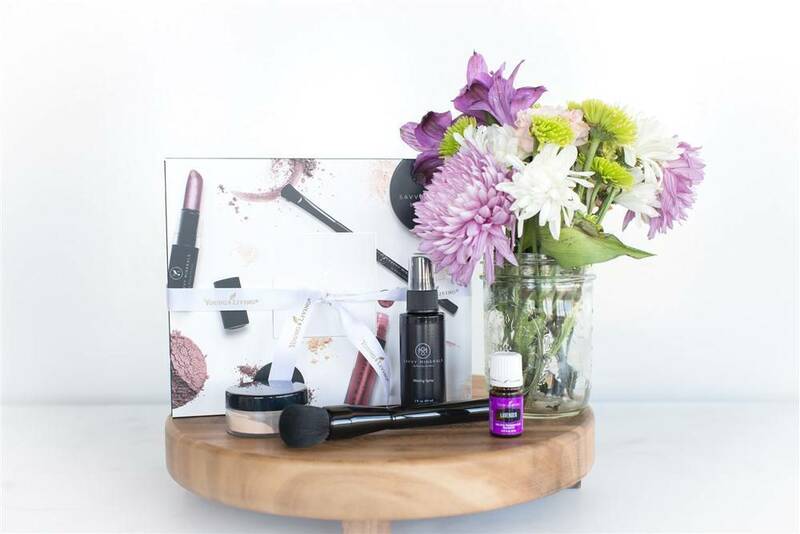 This is the best makeup kit that will both eliminate harmful toxic chemicals that are in your/her current makeup and enhance your/her natural beauty. Wondering what foundation will match your color best? 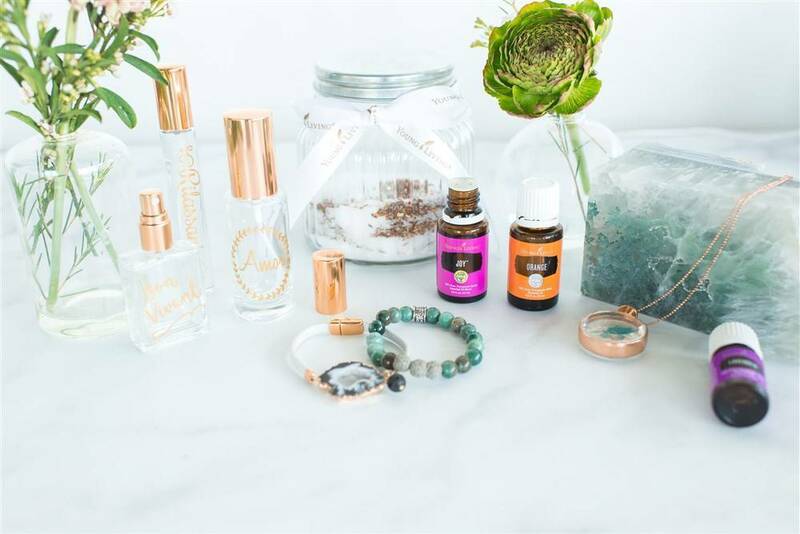 Now that we have covered some fun stuff, let's dive into an essential oil that will take your work-life to the NEXT LEVEL. This month's Business oil is Acceptance. A blend of over 20 oils that will encourage feelings of self-worth when inhaled. Acceptance blend contains oils high in sesquiterpenes like Frankincense and Royal Hawaiian™ Sandalwood, and calming oils like Tangerine and Lemon. It even contains ROSE oil, which is a very expensive oil with a frequency over 300 mHz. Get down to business when you diffuse Acceptance all month long. Diffuse 3-6 drops of Acceptance 1-3 times a day for an hour. 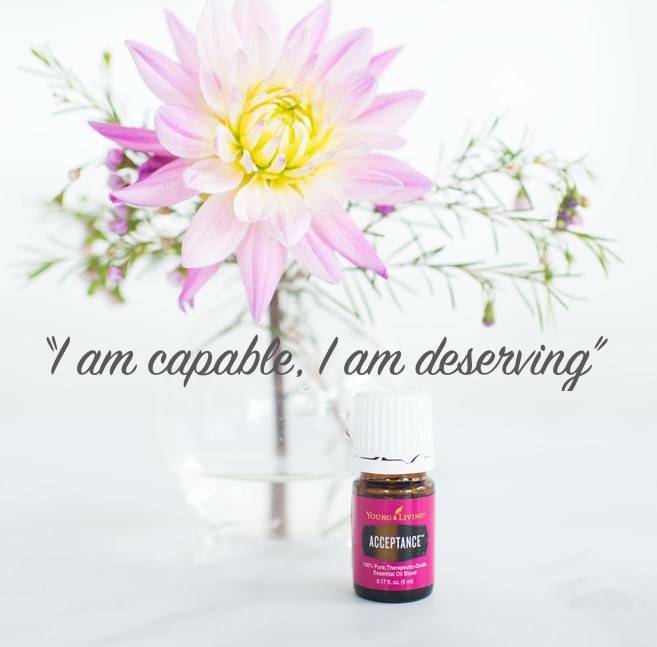 Repeat the positive affirmation “I am capable, I am deserving” as you diffuse and inhale this beautiful oil. 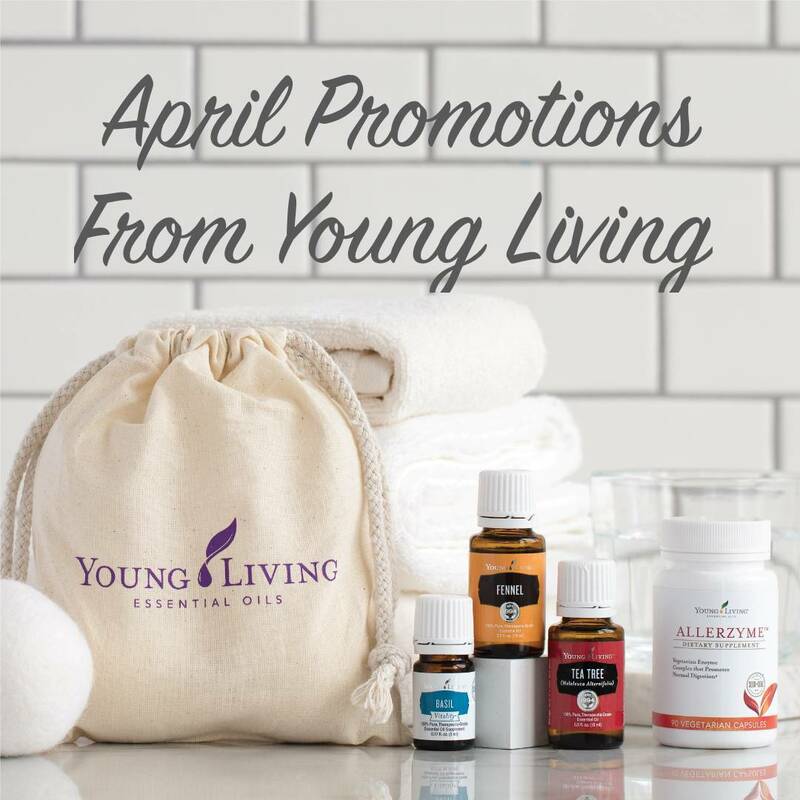 The Young Living monthly promotions are great this month as they promote wellness in many areas. 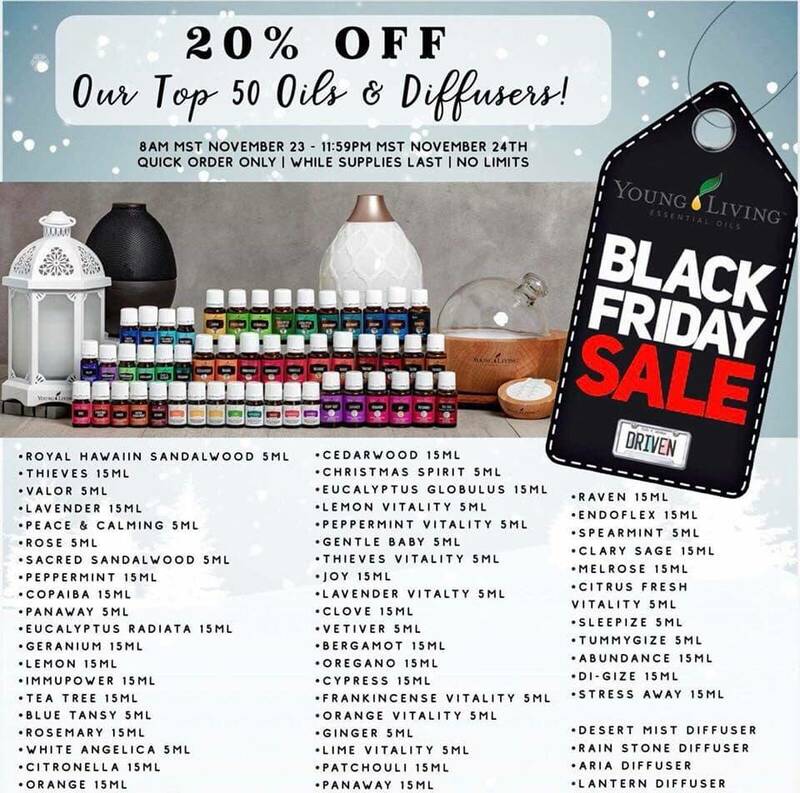 Taking advantage of the YL promotional items is a great way to try new products or stock up on your favorites. 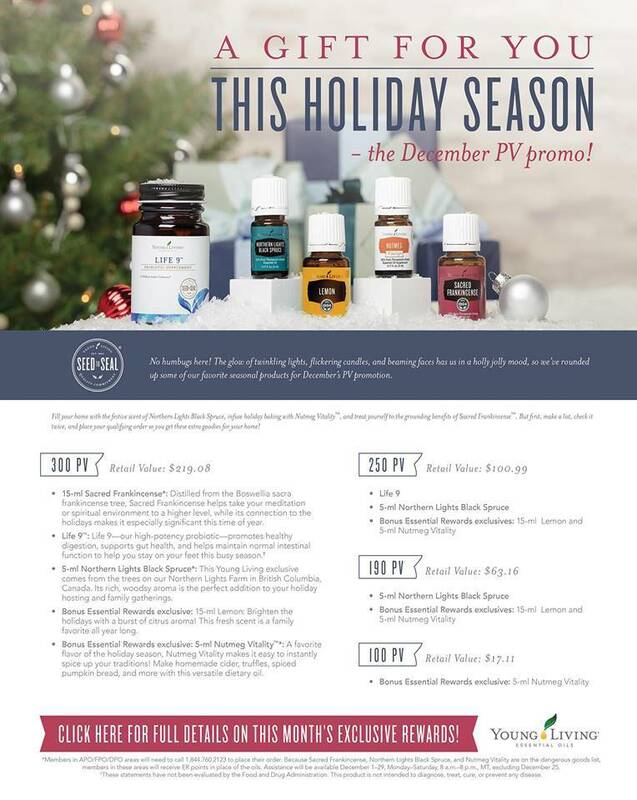 Receive these products FREE when you spend 300 PV in one order this month. (Retail Value: $138.82) • Allerzyme™ - a vegetarian enzyme complex that promotes digestion. You may be eating healthy, but if your digestive enzymesaren't getting those nutrients to your bloodstream, organs and cells, then you aren't receiving all the benefits of that healthy diet. Therefore, Enzymes are a great addition to your daily regimen to promote the elimination of toxins, the absorption of nutrients, help break down difficult-to-digest protein and sugars like gluten, casein and lactose. Taking a digestive enzyme allows the body to devote its attention to supplying more metabolic enzymes so the organs and tissues can carry on their daily work.Indications to take Allerzyme: For the relief of occasional symptoms such as fullness, pressure, bloating, gas, pain, and/or minor cramping that may occur after eating. Take 1 capsule three times daily just prior to all meals or as needed. Do not give to children under age 12 years. • Dryer Balls - Wool dryer balls are a great way to degrease drying time and help keep your clothes fresh without having to use dryer sheets. Dryer sheets are filled with harmful chemicals. Instead of using dryer sheets, toss a few dryer balls in your laundry and dry. Once your laundry is dry, remove one of the wool balls and apply 5-8 drops of your favorite scent to the wool ball. Put the ball back in the dryer and turn it on for another five minutes. Tea Tree is a great option. • 15-ml Tea Tree - Tea Tree is one of the most widely used and extensively researched essential oils. It has cleansing properties and a refreshing scent. 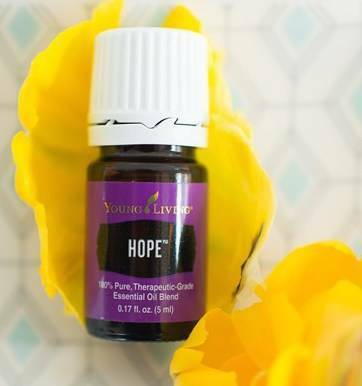 This versatile oil can be used for everything from home cleaning solutions to skin care. Add to water in a small spritz bottle to refresh linens and towels. Diffuse to combat stale or offensive odors in the home. Combine with citrus scents such as Lemon or Lemongrass to create a natural deodorant. Use Tea Tree’s cleansing properties for homemade soaps and moisturizers. Apply to skin as part of your nighttime routine. Comb through hair for added shine and freshness. • Bonus Essential Rewards exclusives: 15-ml Fennel - Fennel has a rich aroma reminiscent of anise, which gives Fennel oil its licorice-like scent. Its sweet, spicy aroma has a long history of encouraging grounding feelings, making it an important part of Young Living’s Dragon Time™ Massage Oil and Prenolone® Plus Body Cream. • Bonus Essential Rewards exclusives: 5-ml Basil Vitality supports the cardiovascular system and musculoskeletal system. It is a popular oil to use in food flavoring. You’ll get a brighter flavor using an essential oil over dried herbs and you won't have to worry about having fresh herbs on hand or them perishing before they are used. Add a drop to a supplement capsule for cardiovascular support.